Wikipedia hasn’t had a bird featured picture or article for a while. 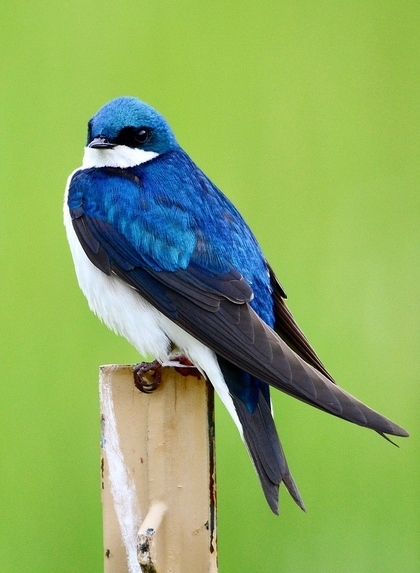 Here’s the most recent one of a tree swallow by Iiii I I I, the former of which sounds anatomically impossible unless it was a tiny sapling and a very large bird. It also has a very familiar colour scheme :).